You can take the Punisher out of the War Machine? Frank Castle may no longer have the Stark-designed armor, but he has retained his taste for ‘big game’ criminals - and he’s hungry for more. But the paths to such high-value targets are fraught with dangers greater than any Frank has faced before, and this lone wolf could use powerful help on his way across the world stage. But a delicate situation gets complicated when Daredevil enters the fray - and he wants to put the Punisher down even more than Frank’s newest foes! 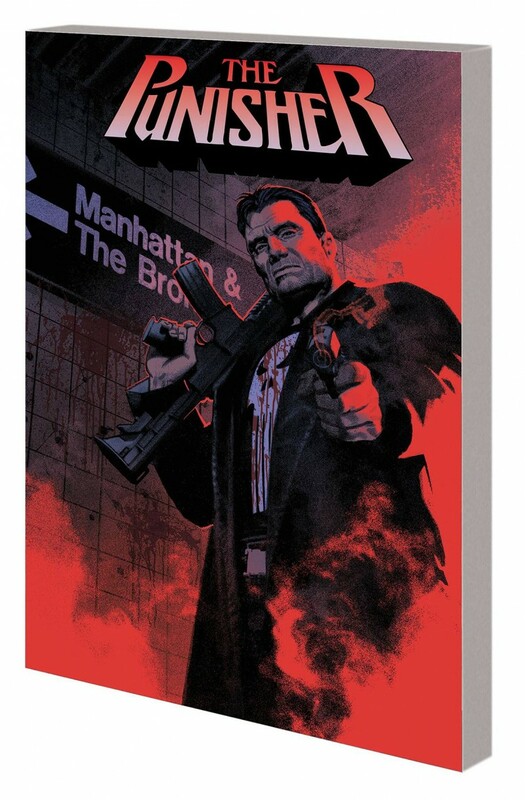 Where can the Punisher go from here? The chips are down and he’s boxed in - but that only makes him more dangerous! Nobody puts Frankie in a corner! Be there for the story that fans will be talking about for years to come!